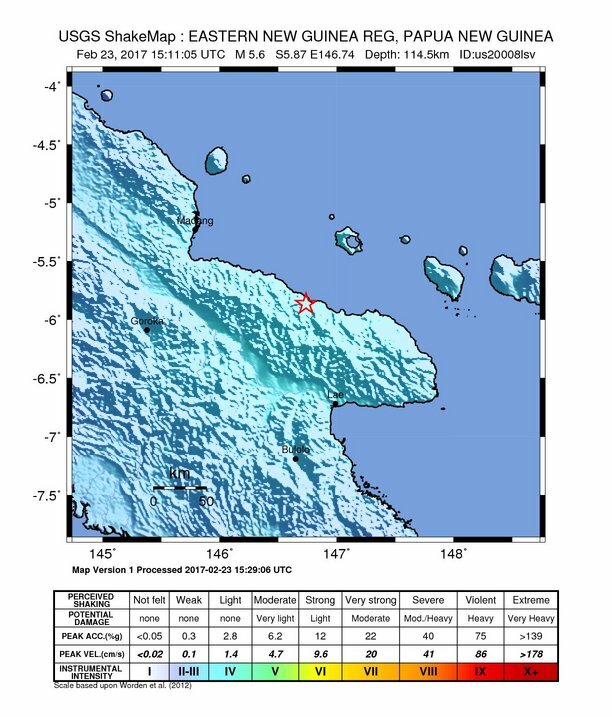 Feb 23 15:19: Magnitude recalculated from 5.5 to 5.6. Hypocenter depth recalculated from 10.0 to 113.0 km. 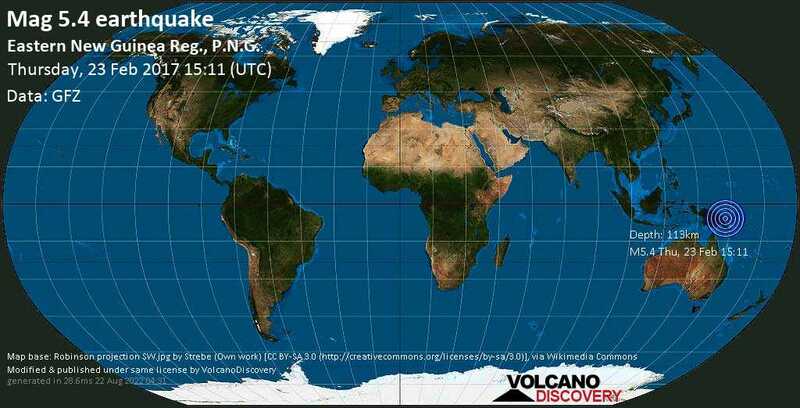 Feb 23 15:29: Magnitude recalculated from 5.6 to 5.4.